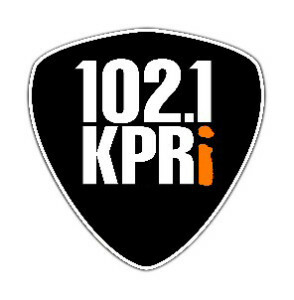 KPRI (FM) 102.1, city of license Encinitas, filed this week to transfer its license to the Educational Media Foundation, Rocklin, CA. The station at 3:30pm Monday suddenly changed to the EMF satellite-delivered Christian music “K-Love” format and sent home all of its approximately 20 employees. KPRI will be operated by EMF on a Limited Marketing Agreement until the FCC approves the transfer. The locally-owned station run by Compass Radio since 1996 had been operating an Adult Alternative Album (AAA) music format that couldn’t compete in the San Diego market when subjected to Nielsen PPM audience measurement. They were seldom able to get 2% of the total adult listener share in spite of strong support for their concerts and local artist inclusion. Compass Radio first purchased KCBQ AM/FM in the 80s, then traded the combo for the Oceanside station on 102.1 MHz. They then moved the city of license to Encinitas, and in 2007 moved the transmitter to Mt. Soledad, converting the station to a fully competitive 30kW ERP signal covering San Diego as well as much of the North County area. I had the pleasure since late 2013 of working with KPRI as a contract engineer. My junior partner Julio Ramirez and I updated their IT infrastructure, automation to Wide Orbit for Radio, abandoned their aux site in San Marcos, installed a secondary transmitter at Mt. Soledad, and made their air chain all-digital. Sadly, all that is bypassed; EMF will simply route a satellite receiver into the transmitter.